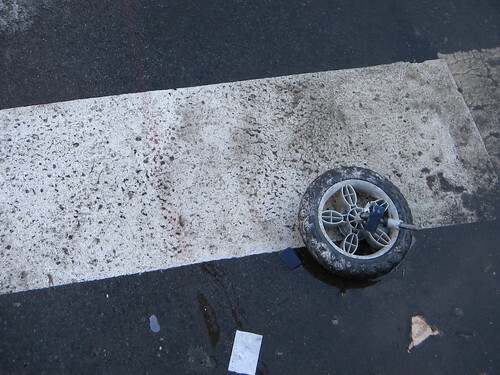 Somewhere out there, a broken stroller is missing its wheel, which sits here forlorn on a dowtown crosswalk outside the Franklin Street subway station. Hey! That’s mine! Can you go back and get it?